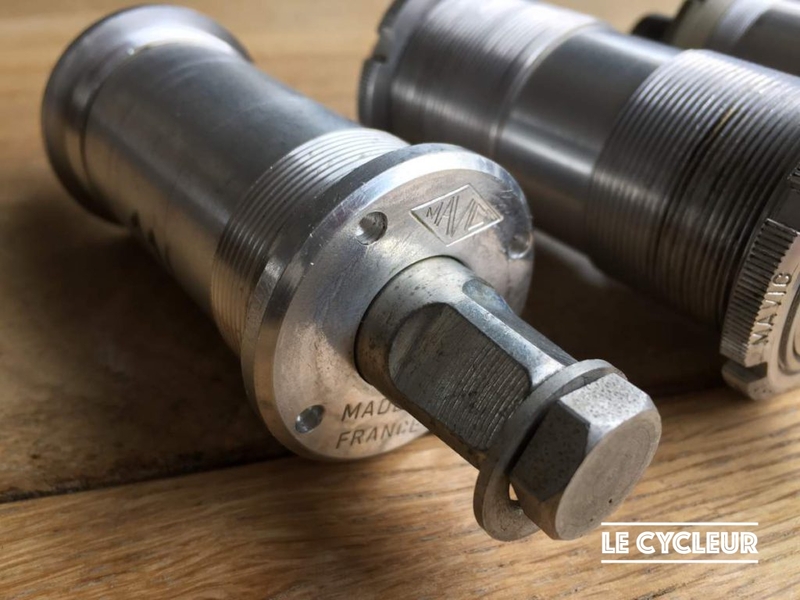 Vintage Mavic bottom brackets are known to last forever thanks to a unique ‘floating’ monobloc design with sealed bearings. 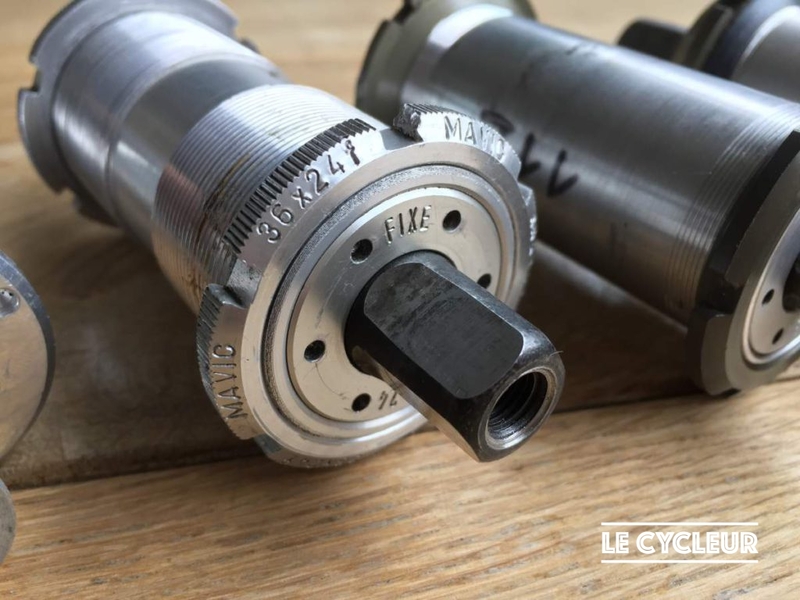 At least, that’s true for the most commonly used vintage Mavic bottom bracket. But it did take Mavic a few tries before they got to their universal and indestructible bottom bracket design. 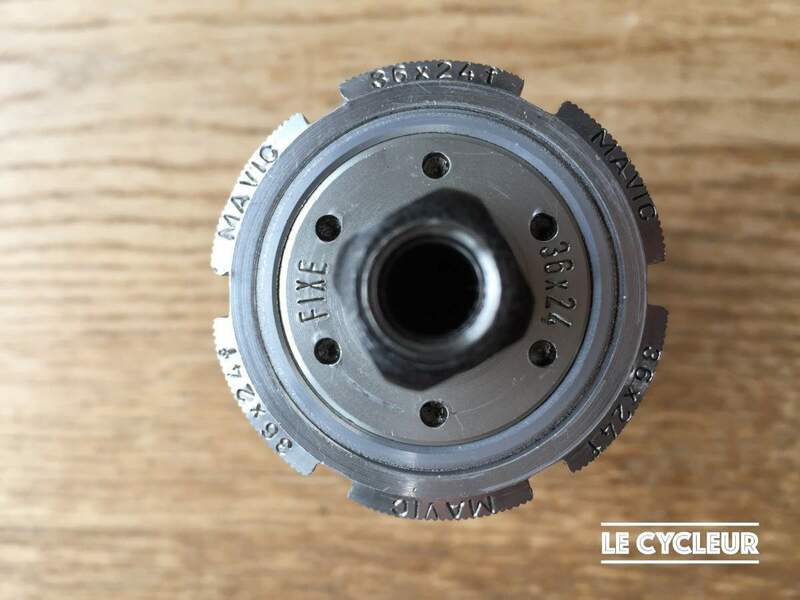 Did you know that Mavic made 4 clearly different types of bottom brackets? 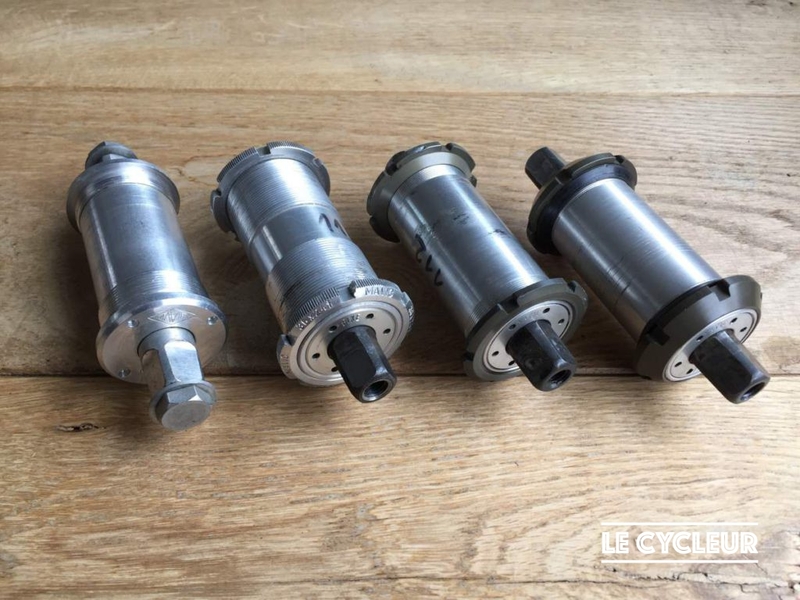 Or even 5 types, to be correct, but I decided to combine 610 RD and 610 URD in one overview since the visual differences are minimal. 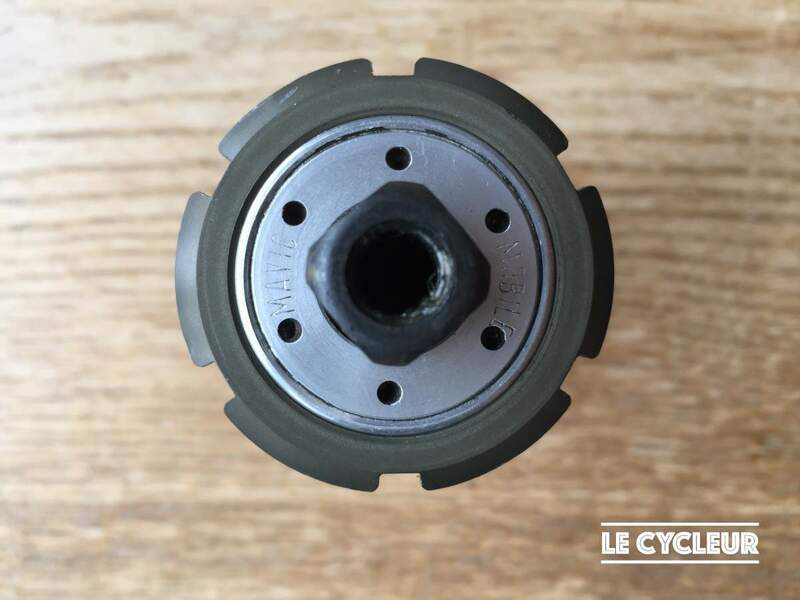 This first Mavic bottom bracket already features a sealed aluminum ‘monobloc’ design with sealed bearings. 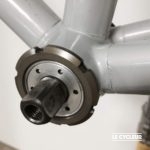 The monobloc design resulted in perfectly aligned bearings for great performance and long lifespan. 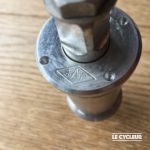 The advanced design would be improved and largely copied about 20 years later by other brands. 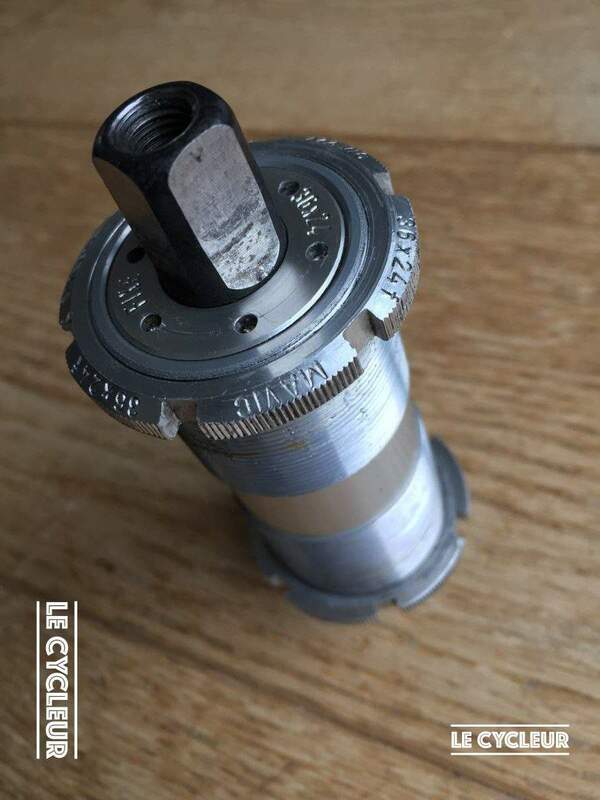 Mavic’s first bracket design failed miserably though; Mavic chose a 4 pin mounting system which just wasn’t working to tightly fix the bottom bracket in place. I date it prior to 1979 because Mavic refers to a previous model when it describes the improved 600 RD in its 1979 catalogue as: “Based on the monobloc design of the model 600 bottom bracket but with a new mechanical design”. 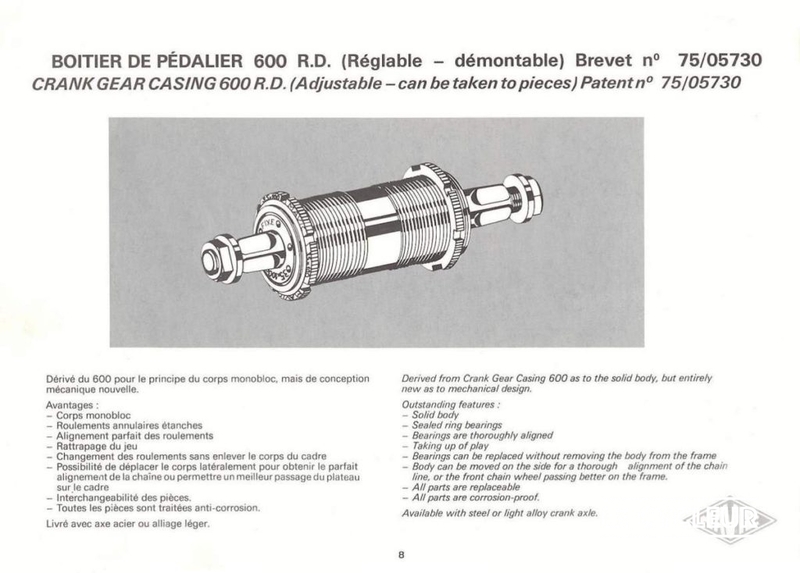 In this production version, which was about 30g heavier than the original model 600, Mavic solved the above problem by re-introducing classic features: mounting rings. Mavic kept the sealed bearings and added not one, but 2 mounting rings, one at either side of the bottom bracket. 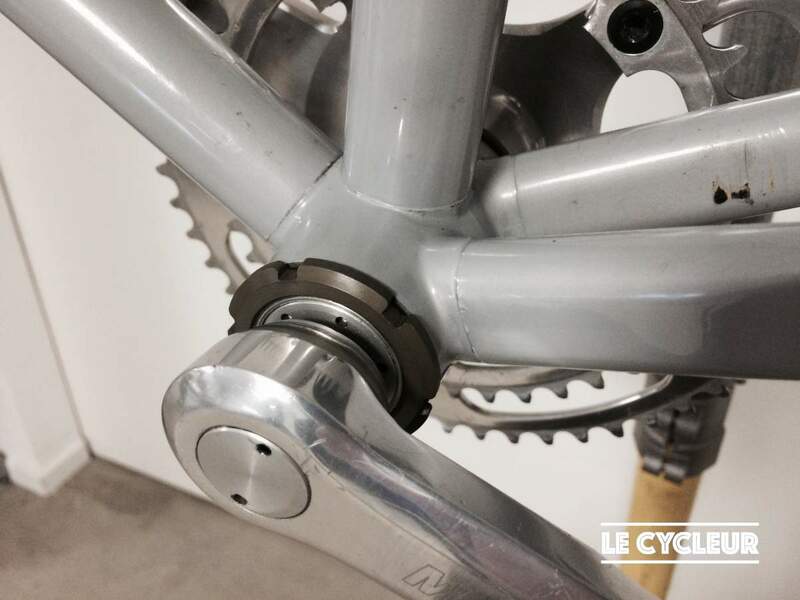 This resulted in a monobloc bracket with adaptable chain line… genius! 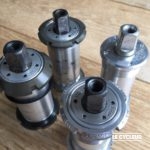 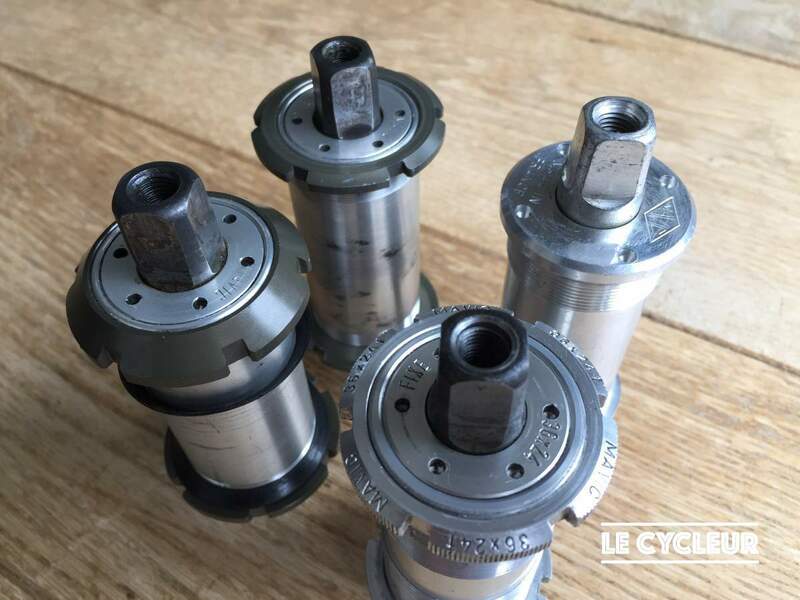 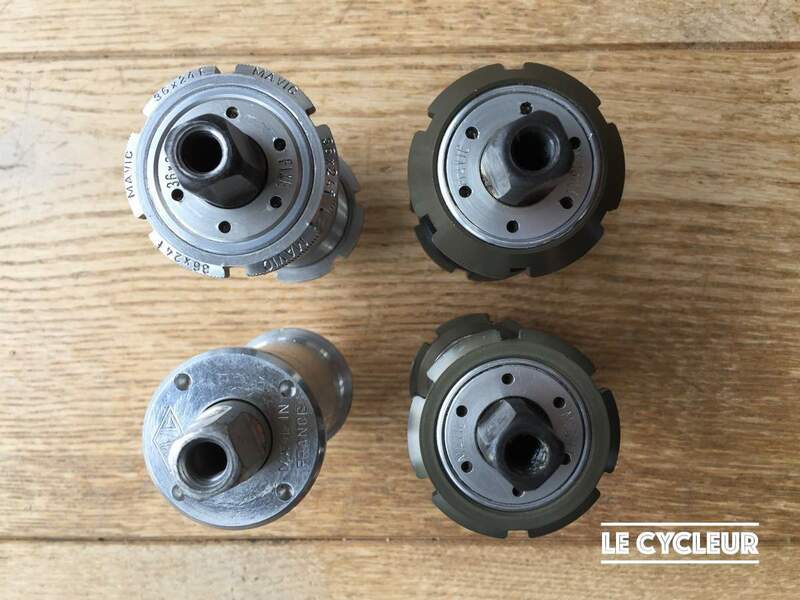 But apart from heaving sealed bearings and a slightly adjustable chain line, Mavic still needed 3 different bottom bracket bodies for Italian, BSA and metric threaded bottom bracket boxes. 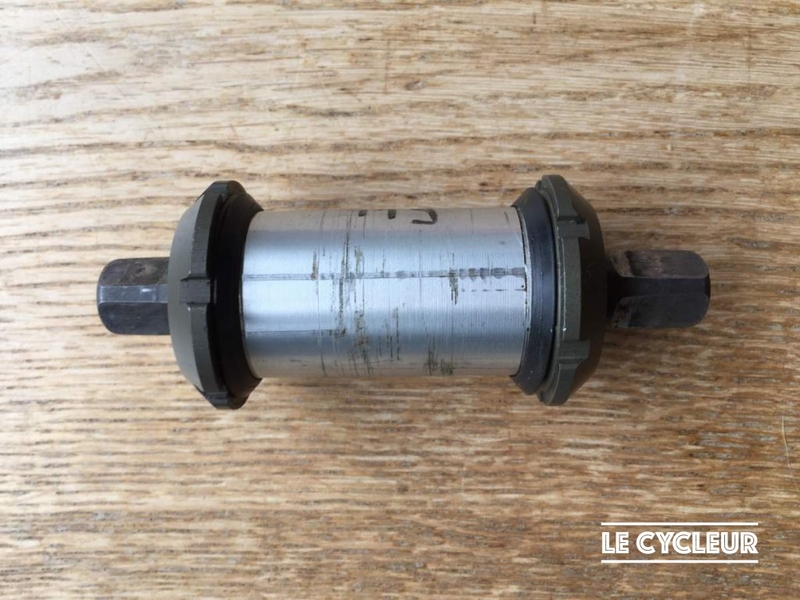 It came in 3 axle lengths: 116, 121 (triple) and 125 (long triple) mm. 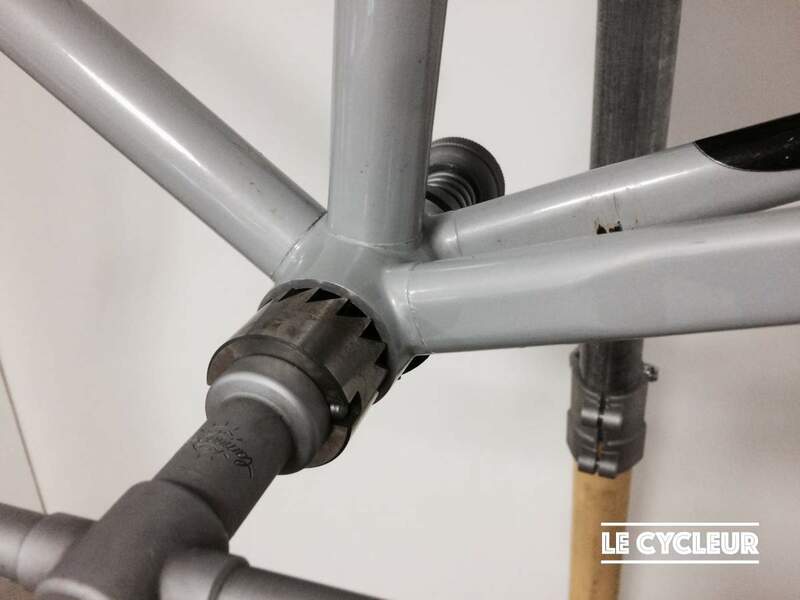 The RD stands for Réglable (Adjustable) – Démontable (Can be taken apart), 2 features which were copied from the popular 500 RD hub design. 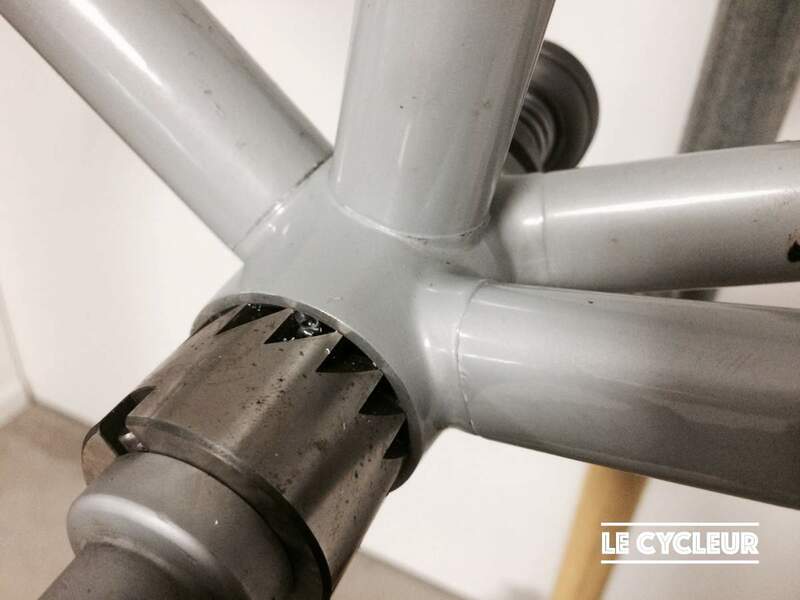 Due to this, the new design clearly improved over the original model 600 bottom bracket. 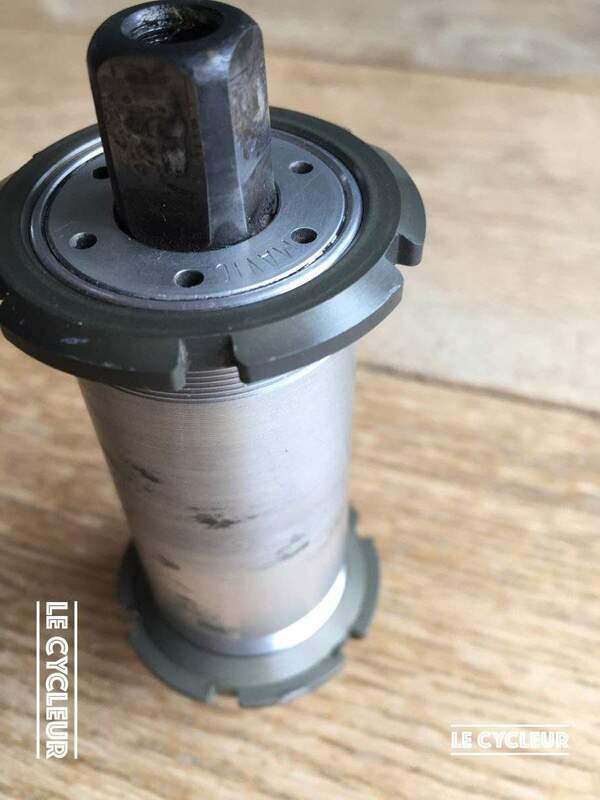 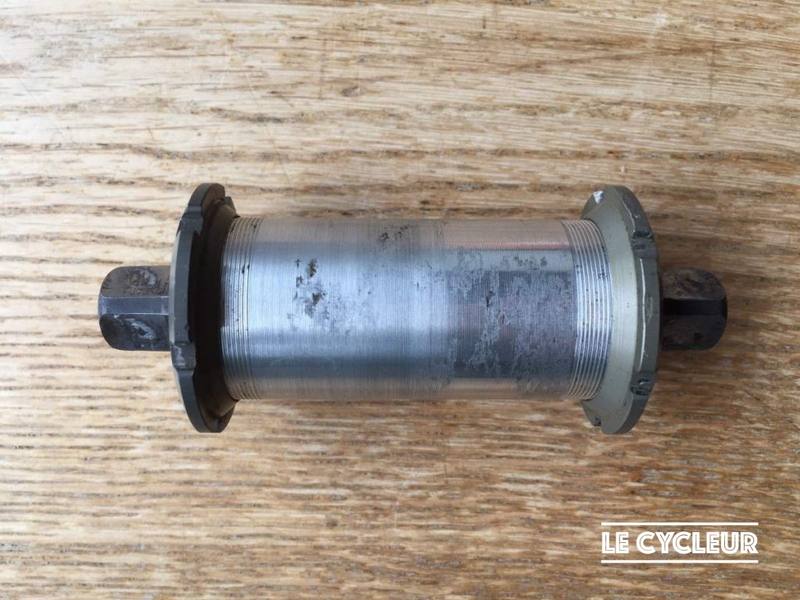 This is the most common Mavic bottom bracket around. 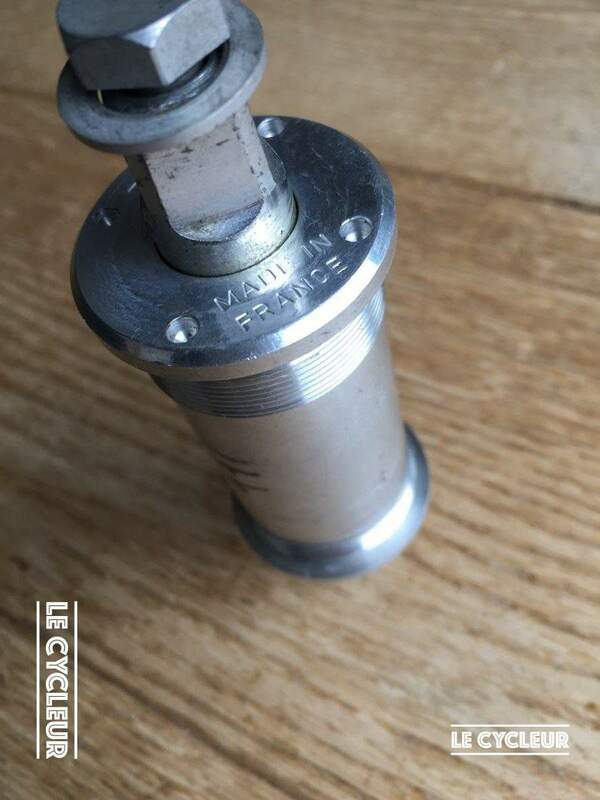 I am not 100% sure in which year it was first introduced, but it must be around 1983-‘4. 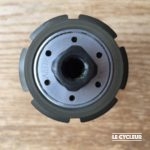 I read once in an online review on Bikepro.com that Mavic’s 610 bottom bracket “requires personal courage, real expertise, or professional installation, but will last you a life time.” I couldn’t phrase it any better. 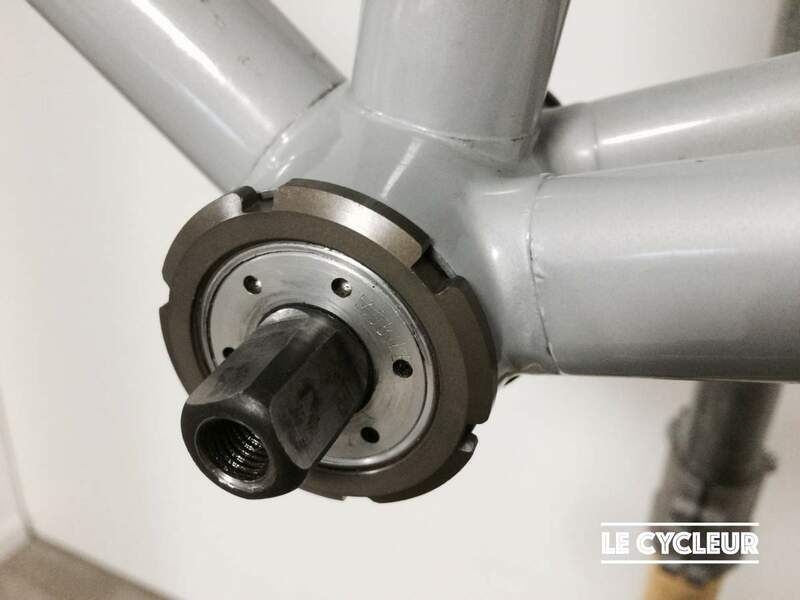 The 610 bottom bracket is amongst the best bottom brackets ever made. 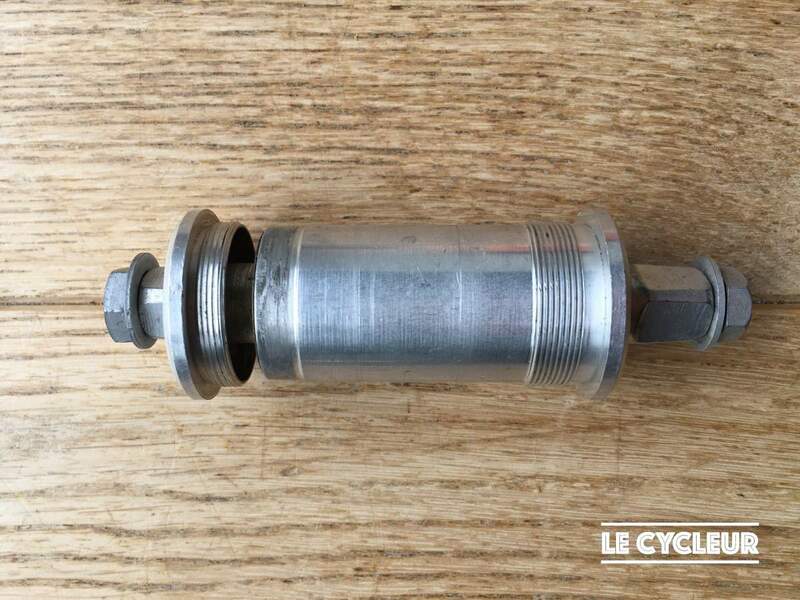 It was not lightweight, weighing in at 285g for a 114 mm bottom bracket, but it fits any bottom bracket box whether it is Italian, English or metric. 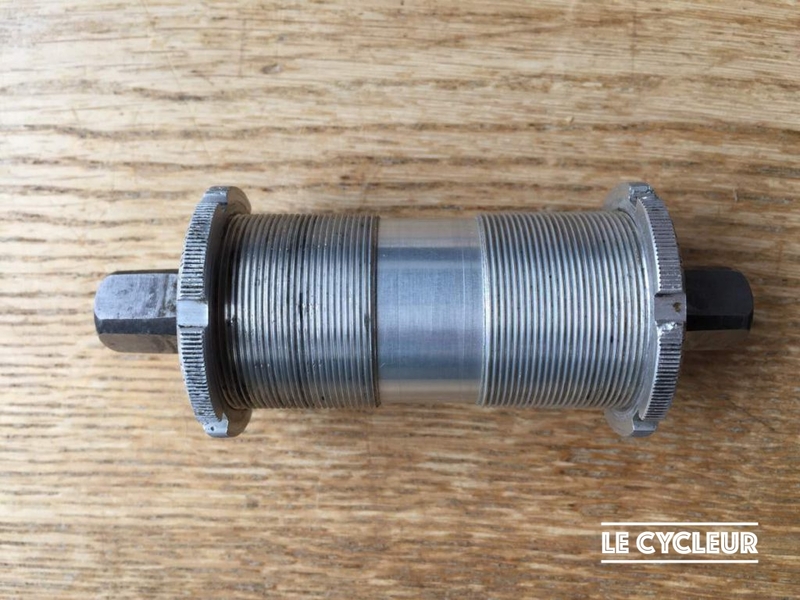 It would even fit a bracket with wasted threads thanks to its ‘universal floating’ concept. 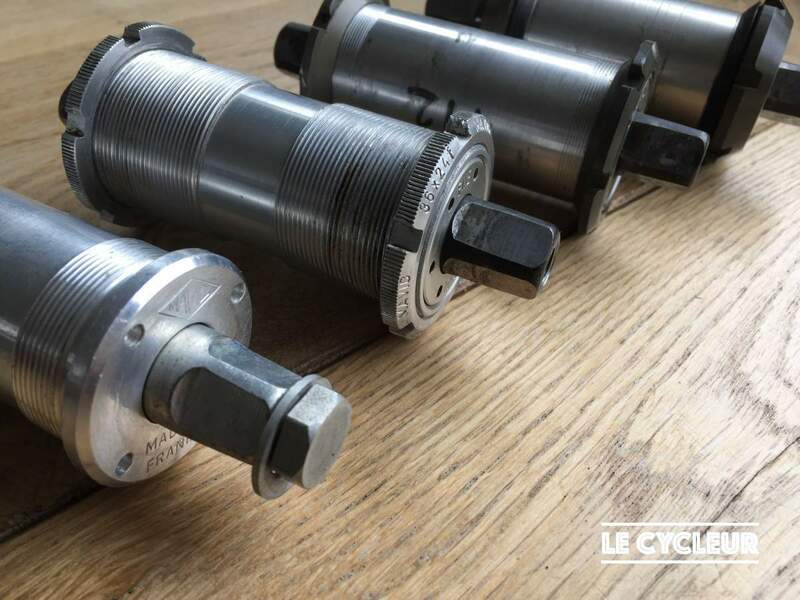 Originally it came in 5 lengths: 112 (pista), 116, 121 (triple), 125 (long triple) and 134 (MTB) mm. 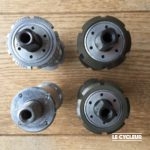 The URD version, came in 110 (pista), 114, 116, 119 (triple) and 123 (long triple) mm. 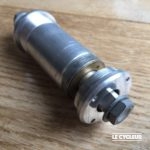 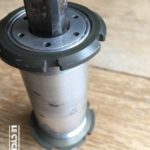 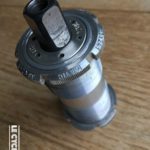 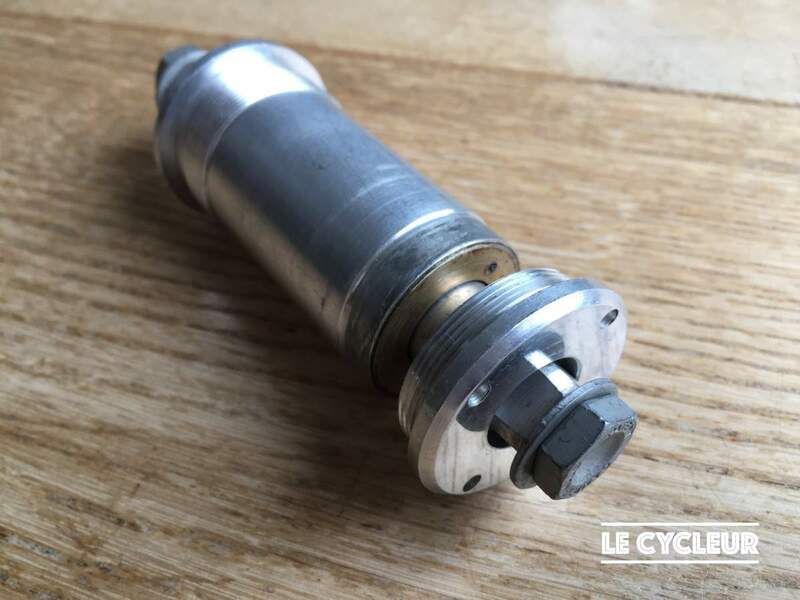 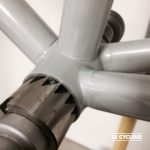 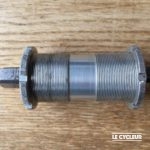 Why does one need courage to mount a 610 bottom bracket? 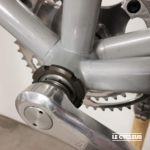 To properly mount it, the bottom bracket box of the frame needs to be re-faced with a 45° chamfer to fix the chamfered mounting rings. 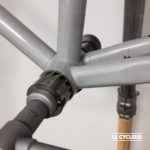 Obviously it removes the outer few threads of the bracket which sort of eliminates mounting another type of bracket in the future. 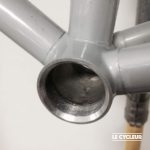 But why would you revert to a lesser bracket, right? 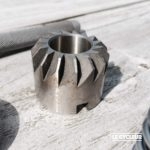 It is scary at first, but with the proper tools it’s a piece of cake. 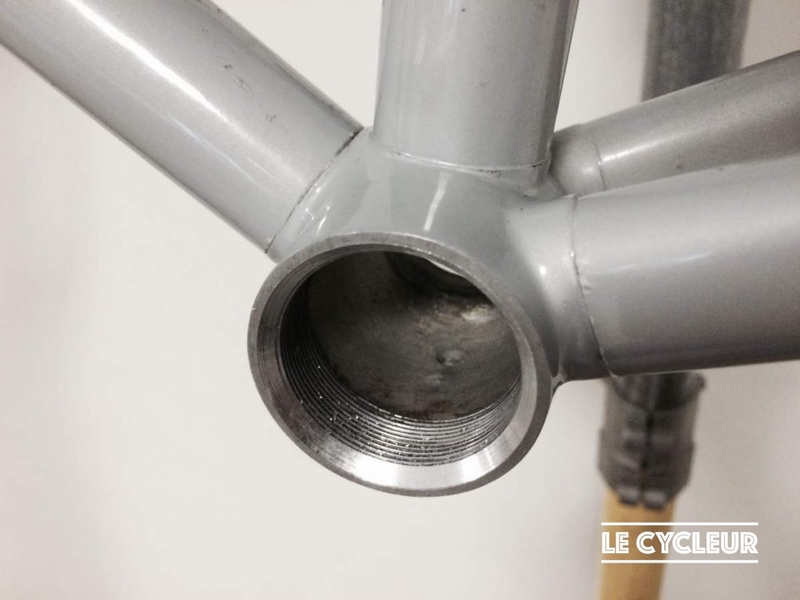 A 1990 Look frame with a freshly chamfered bottom bracket box. 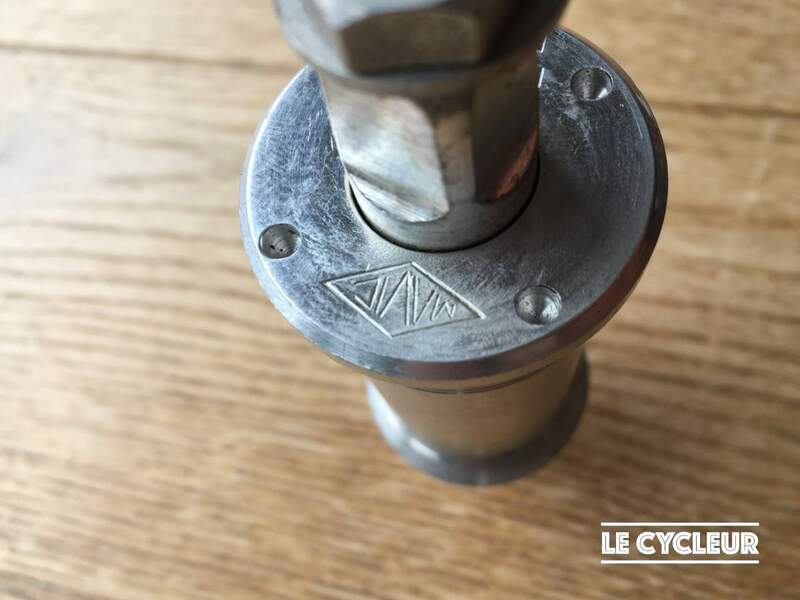 This type was made especially to mount triple cranks, in particular for mountainbikes. 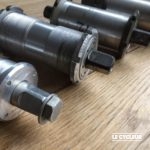 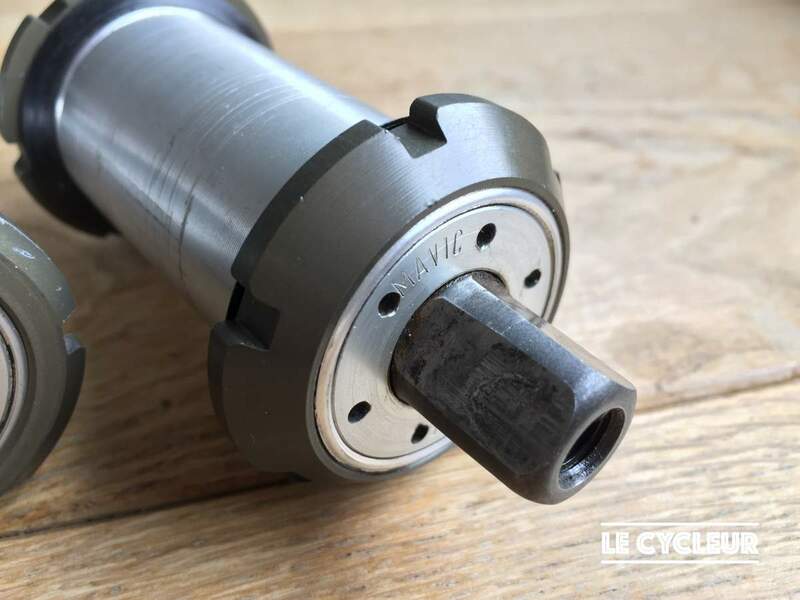 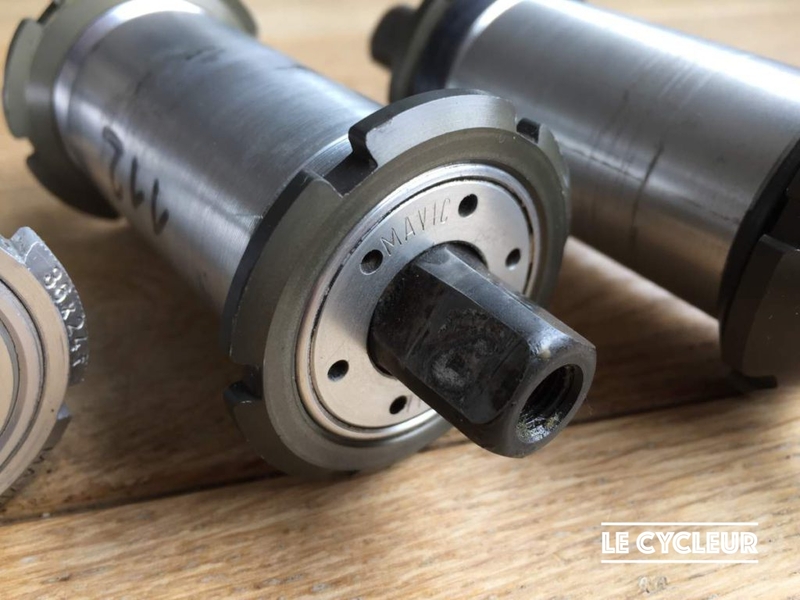 It has all the features and advantages of the 610 URD bottom bracket, but incorporates a wider aluminium monobloc body for 124-134 mm axles resulting in improved stiffness and durability. 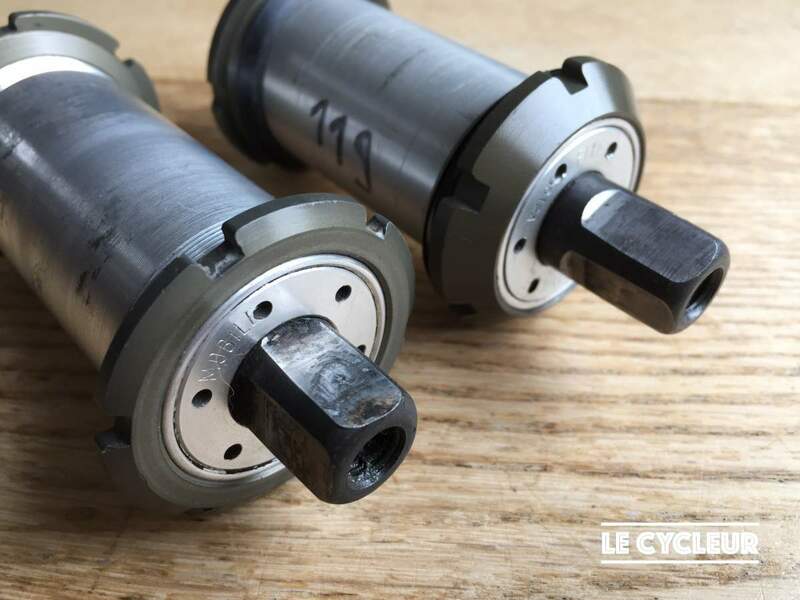 You can clearly spot the different mounting rings on the 610 RD (left) and the 616 RD (right) bottom bracket. 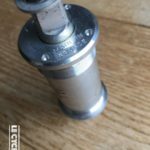 Wish I had another of these superb items! 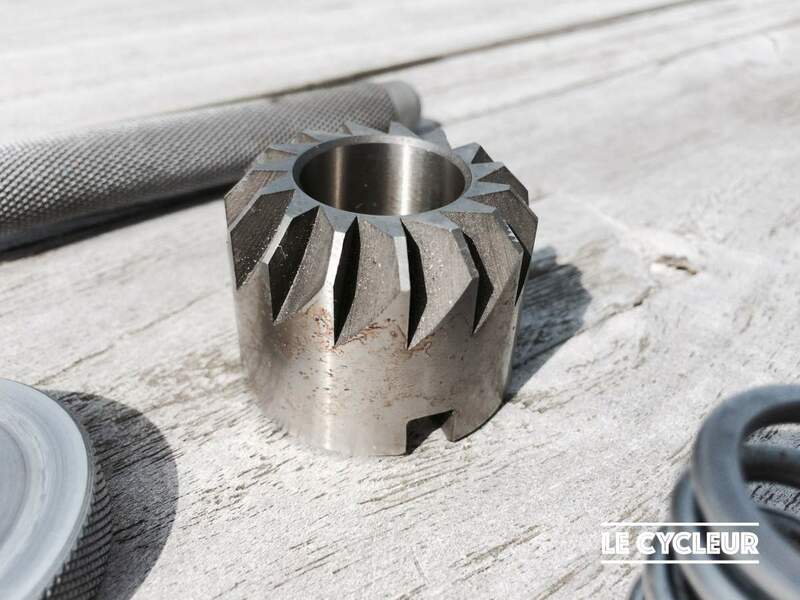 Currently mine is 114-mm, and I wish to find another square-axle fitted chainset………somewhere ? 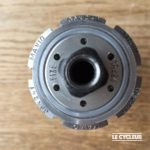 Improper, as I may desire trying my existing Super-Record chainset. 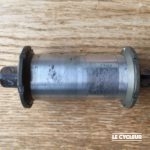 Wish I’d kept my Mavic chainset!